I’ve been staring at the proof of my first book for about a week. Today I decided to check Amazon to see if my book was even listed yet. Much to my surprise, it was and I felt an overwhelming desire to share it with the world. As I’ve mentioned previously I’ve attempted to write a book more than once. About three years ago I wrote a book of poetry that I never published. Every so often I come across the document and vow to self-publish it but I never did. In the past, somehow I couldn’t wrap my mind around the self-publishing steps. I read books and articles but couldn’t get beyond the first step. This time was different. The time was different because I am different. Now more than ever I feel I have nothing to lose by doing what I want. I don’t answer to anyone. I don’t have to explain my intentions or wait for approval. I’m operating from a different place that is both familiar and unfamiliar. I’d wouldn’t describe it as 100% fearlessness but I’m probably operating at 80% fearlessness. There are moments I still get nervous about what the future holds. Other days I know with clarity that success arrived the moment I took the first step. Holding this book in hand is proof that the life I used to know is no more. A thought I had years ago now lives physically in my hand. There is no going back. I’ve used affirmations for years, however, I knew moving in a new direction required more than just knowing the definition of an affirmation. It became necessary to go beyond repeating a one line phrase. Affirmations reminded me that I was making the right decision and moving in the right direction. I started to incorporate them in my life like never before. It was my way of talking through my own fears. It was written for me to move forward scared or not. I stood somewhere between proud of myself and scared shitless. I found comfort in my affirmations. After I left my corporate job, it came to me that I needed to share my affirmations with other entrepreneurs. Seemed simple enough but it took about four months think though the concept and put it on paper. I wanted to go beyond just a one line affirmation. I wanted to share a series of positive statements that could be read, contemplated, visualized and spoken into existence. I divided the affirmations into categories that I thought were most important for entrepreneurs on their journey. The affirmations speak of love, courage, vision, success, abundance, and entrepreneurship. This book begins with love because you have to know regardless as to what happens next you are loved. I spent years working on self-love and that love has been reflected in the family and friends who continue to step forward to support me. Glancing down at the cover, an overwhelming sense of peace finds me. Today I present to the world the gift that continues to push me along as I create my imprint on the world. Affirmations and reflections continue to work in my life and I hope they work in yours as well. Click the link to get your copy of 60 Affirmations & Reflections for Entrepreneurs. I am an avid reader. Books are my first love so I always find time to get lost in the pages. This is a must read and by far one of the best pieces of literature I’ve found in 2016. My biggest takeaway is that this book had nothing to do with money. It was more about cultivating the thoughts needed to bring about change in your life. The lessons learned were truly a confirmation that we create our life with our thoughts and if it is money you seek then it is money you will find. 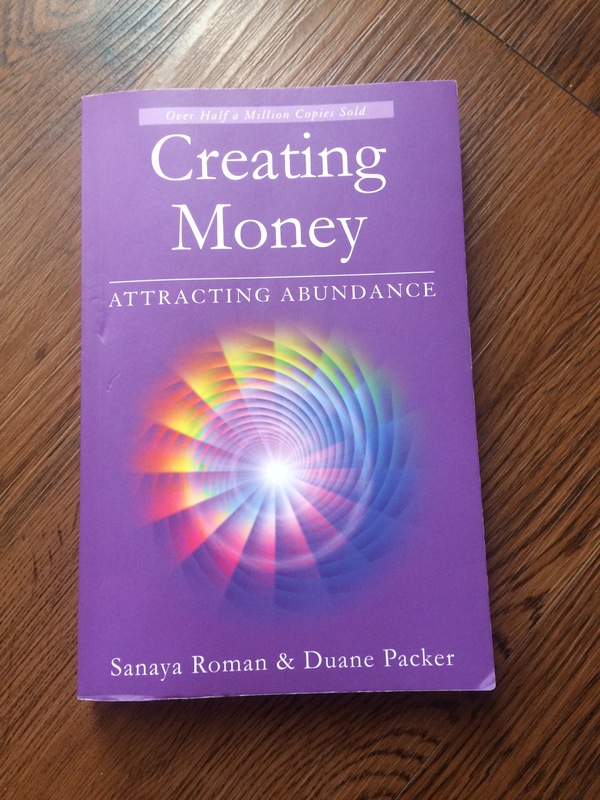 I love how the author made the connection to changing your thoughts and finding your purpose as the true means of creating abundance. Their is a wealth of wisdom, affirmation and encouragement found throughout the book. I feel more prepared to create the next chapter of my life as a result of finding this treasure. Think it. Visualize it. Write it. Speak it. Thank it. Surrender it. It took me almost a year to complete all five hundred pages. This book is one of those game changers for me. I took my time and slowly digested the concepts. It changed my view of myself as a woman and allowed my hidden version of my wild woman archetype to step forward. It also lead to my current year theme of self liberation. This book is about reconnecting with your instinctual nature as a woman. It highlights implanted ideas and contrast them to what it means to be a woman living from her creative center. This has become my feminine bible, a guide-book of sorts leading the way to my new promised land. I was led to my own level of contemplation imprinted with questions from the book as well as my own consciousness to ponder. Contemplation has led to a recurring reflection of the following 14. I breathe these 14 these days. I wonder how many will resonate with other readers. What key if you knew it would bring you into consciousness? What do you keep hidden from yourself? What lies hidden in the people around me? What lies hidden in the people who show up in my life? What is the pattern? Do I sabotage my own efforts? How? Why so? Where am I killing my inner self and my own creative energy? In what ways do I siphon off my own energy? Besides becoming aware of it, what are the next steps? How do I kill off my energy in relationships with other pep? At what point does the saboteur step in? Am I living my divine life? How often do I live between worlds, old life vs new life? Do you still peek at my old life? Have you killed off the old to allow new life to take root? These 14 have helped me to change my view of my story. The life that exist for me is the one I create. I now know that it is time to write my own story. I am aware of where I have given my power away in the past. I am also now aware that their is honor in being a woman walking in her own time and space. Most people are literally afraid of Nothing. They would much rather adapt to a faulty, dishonest system than give up the security of their perception of reality. They would much rather complacently survive in a rigid hierarchy than thrive in ambiguities of freedom. Freedom demands inner, not outer, authority. It pulls the cultural rug out from underneath you and plunges you into the limbo of endless possibilities, a void that can only be traversed through the most divine interpretation of creativity: the presence of mind, heart and soul to literally conceive something from nothing, feel it bloom inside and finally endure the pain and consequences of releasing it to the world. I am a multitasker by nature. In other words there is rarely a bored moment for me. If it comes to mind and seem interesting I’ll try it. This applies across the board. These days when I wake up, going to my 9 to 5 is the only constant. Everything else I play by ear. I might paint, draw, sing, dance, write or read. There are many possibilities to the specifics within each of those categories. The same is true for reading I like to read more than one book at a time. So these days you will see the following books scattered around my bed. Faery Oracle came with the oracle deck. I purchased it recently and just love reading about the energies on the individual cards. 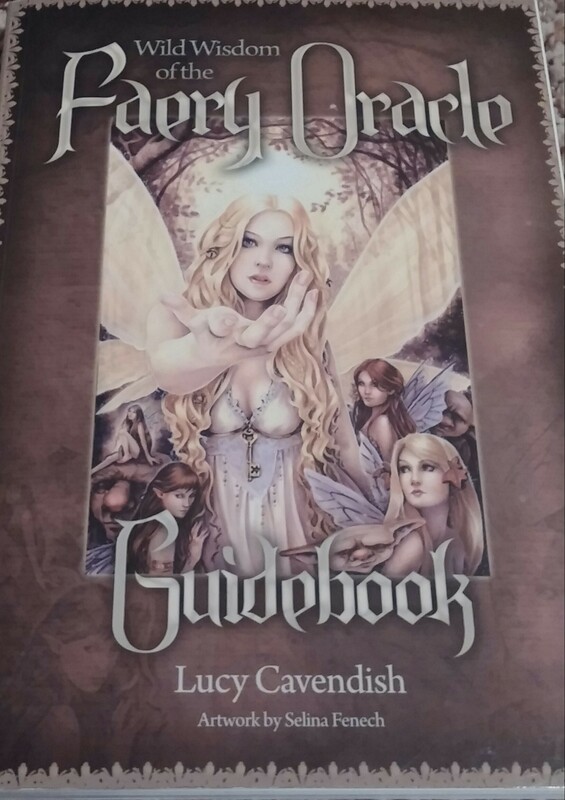 The faery guides have definitely started to open some doors for me. 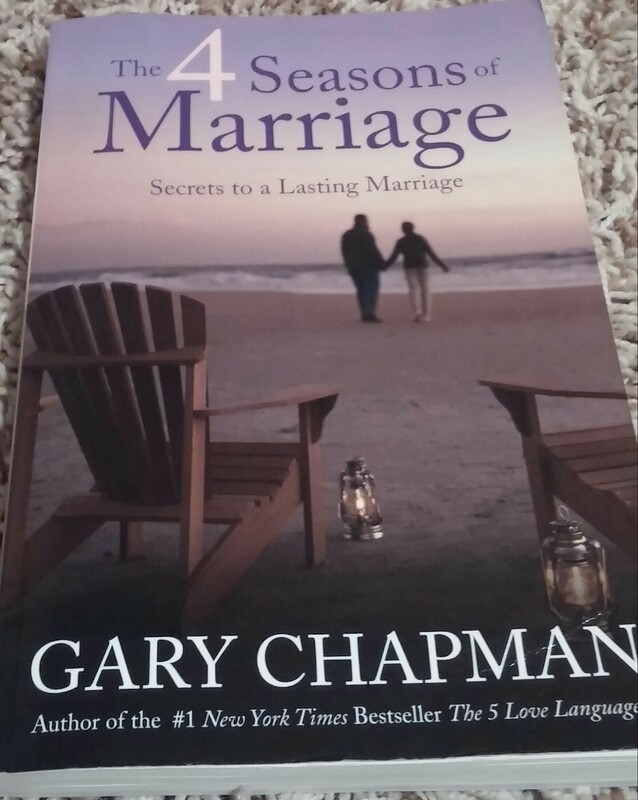 The 4 Seasons of Marriage has been very insightful and inspiring. As mentioned before I am mentally preparing to remarry and this book has shed so much light on things I wished I’d learned 10 years ago. It brings home how cyclical life and relationships are. 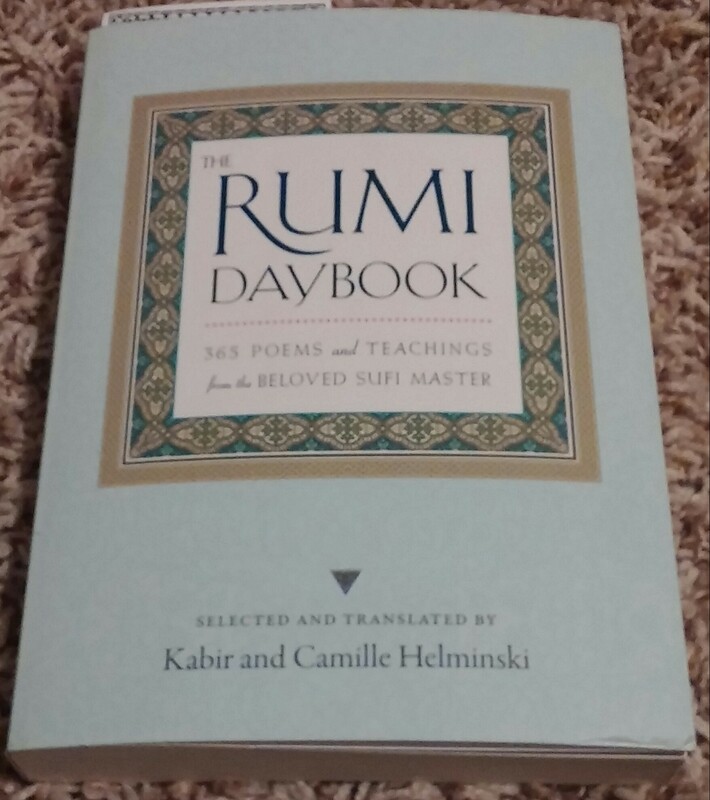 The Rumi Day Book 365 Poems and Teachings…well I think that’s self explanatory. I love reading poems especially outside. They are short and to the point but they share a story or a moment in time and feeling of the poet. The fourth book came with no title but I’ve given it one. Sacred Woman: A Healers Guide 2014 is my journal. The front cover is an image of a guide I’ve seen in many visions. Usually in the vision the tigress is sitting or floating beside me and an owl is on my shoulder. We are always in or close to water and I listen as they provide guidance. 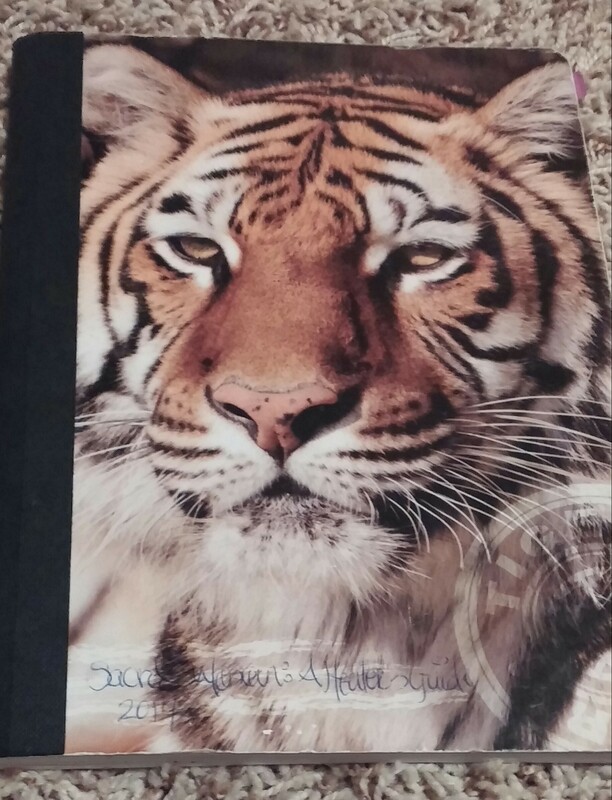 Tigers represent strength and owls represent wisdom so it seemed like the perfect journal for me.